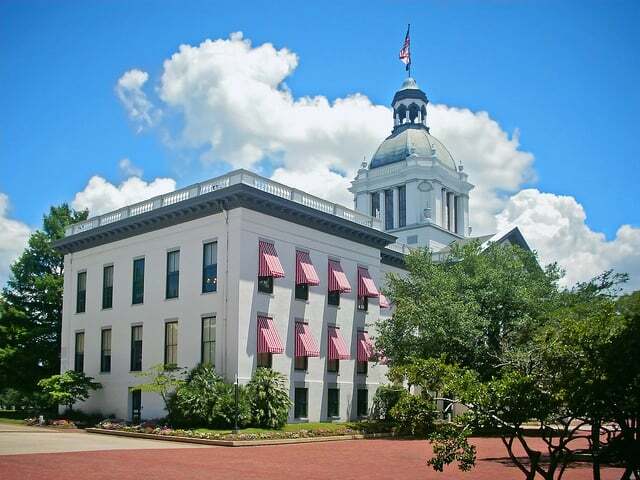 Visiting any state capital requires a visit to the state Capitol building! This is a great activity for families and the kids will really enjoy seeing the action of live government during session! Climb to the 22nd floor in the new Capitol building and catch a glimpse of a breathtaking panoramic view of the Capitol City. Have lunch at Andrew’s Capitol Grill and Bar where the lunch buffet is amazing and perfectly priced! While you are there, see the rotating gallery featuring the artwork of a local artist. 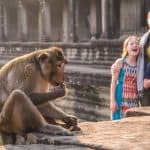 This is a perfect place for a field trip as the kids will love everything about this visit! Tip: Plan for a visit by learning some fun Florida facts about the sunshine state before you go! 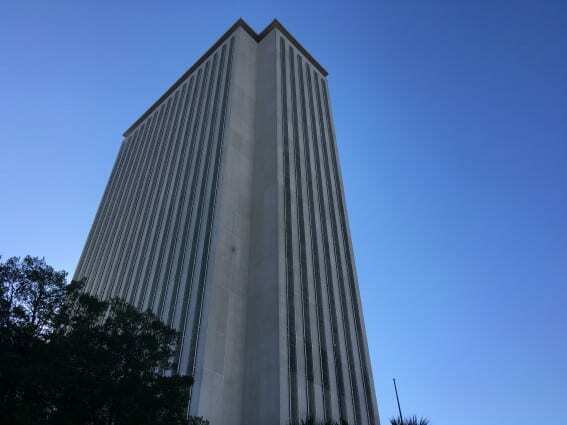 Restored to its 1902 structure, the Florida Historic Capitol Museum unfolds the three branches of Florida government and its political history. Step into the house and senate echo chambers and pretend to vote on a bill. The interactive displays make the learning hands-on fun for all ages. Watch the website for special events. Explore the past at the Museum of Florida History! Visitors follow the journey of Florida’s timeline. 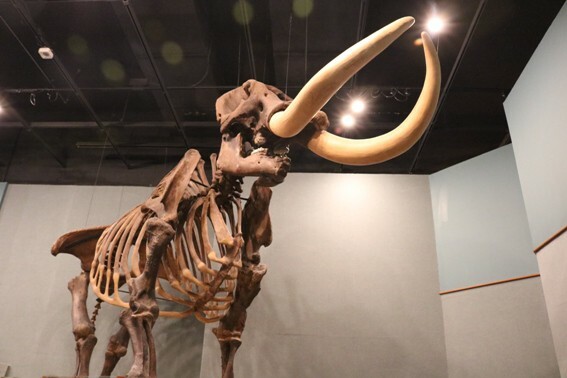 See the skeleton of a giant mastodon. 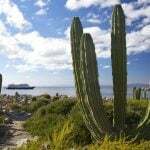 Climb aboard a Spanish ship to explore the New World and the La Florida settlement. Experience life during the Civil War or life on the home-front in Florida during World War II. Travel like a Tin Can tourist or drift along on a 1900s Florida Riverboat. Learn and explore outer space at the Challenger Learning Center in downtown Tallahassee. It’s well known in the area for its IMAX® 3D Theatre, Downtown Digital Dome Theatre, and Planetarium. The center shows different current films throughout the year. If space exploration is your thing, visit the Downtown Digital Dome Theatre and Planetarium. Kids can pretend they are a part of a space shuttle launch by being a part of Mission Control. Watch for the many seasonal events with telescopes set up on Kelman Plaza to give kids a closer look at the planets and solar systems. As one of Florida’s top ranked museums, the Tallahassee Museum is a must-see! Walk the trail to discover Florida’s beautiful flora and fauna and see the native plant life and animals that call Florida home in their natural habitat. 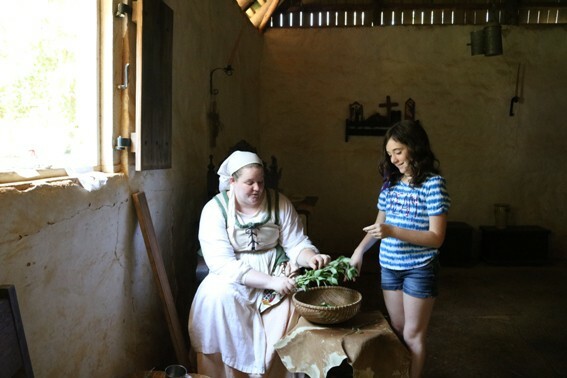 Step back in time and discover old Florida in the reconstructed historic buildings on-site. Then, enjoy a birds-eye view of the entire property on the the Tree to Tree Adventures rope course. 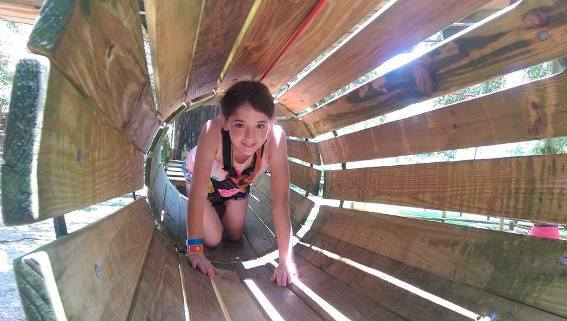 The wooden playground will keep the kids entertained for hours! Three courses, from novice to advanced, will have you testing out your balance and coordination with a smile on your face! 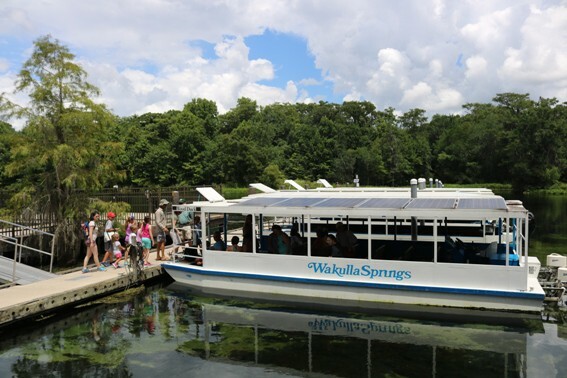 Just a short distance outside of the Capital City, families can discover Wakulla Springs, a wonderful state park featuring the untouched beauty of Florida and home to the world’s largest and deepest freshwater springs. Take a riverboat ride and see the Florida wildlife up close such as alligators, manatees, and many varieties of birds. Take a plunge from the 22 foot platform into the fresh cool water below, swim out to the tethered diving platforms, or stay beachside and wade in the fresh spring waters. Overnight accommodations are available at the Wakulla Lodge, a very high end hotel reasonably priced at $95 – $150 a night. Explore Cascades Park, an architectural haven in the heart of downtown of the capital city. Stroll or cycle through this incredible display where art meets garden. Catch a glimpse of the interactive water fountain which simulates the waterfall from over a century ago. 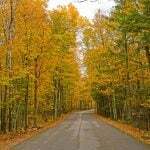 For kids of all ages, families will find a children’s play area and many Pokemon stops as well as a Korean War Memorial, a Prime Meridian Marker, and Smokey Hollow Commemoration, a tribute to the residents of Smokey Hollow. 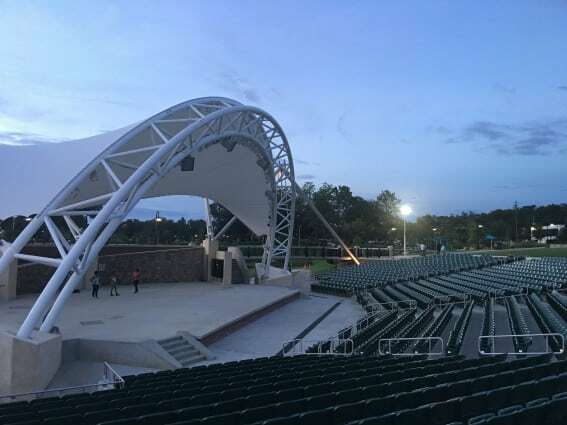 Stroll through the park for an evening walk or catch a outdoor concert at the newly renovated Capital City Amphitheater or dine at The Edison, and enjoy beautiful vies of Cascades Park. Travel back in time to the 1600s and learn about early Florida life at between the Spanish and Apalachee Indians at Mission San Luis. Through lively reenactment and role-playing, discover the customs and daily life at the only reconstructed Spanish mission in Florida. See a blacksmith construct hardware, watch soldiers train for battle and understand the symbiotic relationship between the Spanish and Apalachee Indians. Geek out and chill out at Lofty Pursuits, an eclectic ice parlor and hard candy factory. 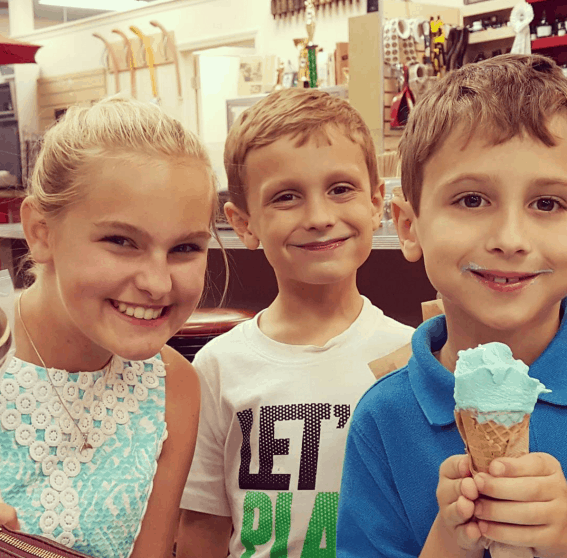 Taste the extensive list of local ice cream or sample the homemade egg creams and sodas. Stay for a spell and play an assortment of board games or toy with the many cool and unusual items. The “soda jerks” are very well trained to make the best treat you’ll have that day! Have fun with the old rotary phone that is reprogrammed to voice recordings when you dial someone! It’s a fun pit stop and blast into the past! Tallahassee is filled with so many beautiful outdoor spaces to walk, run, hike, bike, or just play. The many greenways and parks located right within the city limits are perfect for families to see that Florida is so much more than just beaches. Rivers and lakes, coastal waters, and hardwood forests, are all right here in Tallahassee and the surrounding area.The city even has an entire website dedicated to helping you find the perfect trail! 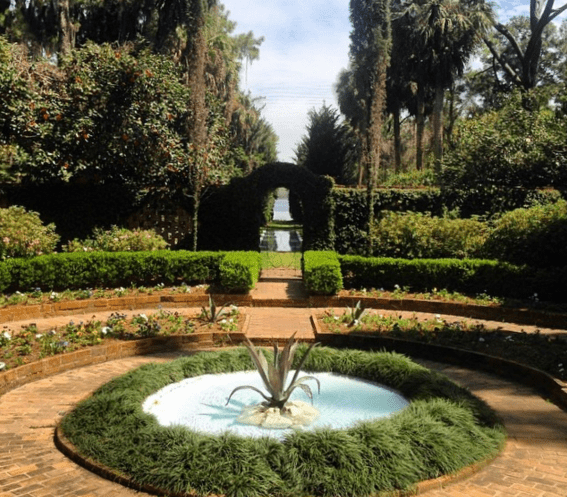 The Mcclay State Gardens is a perfect place to picnic and spend the afternoon marveling at floral architecture, brick walkways, a secret garden, a reflection pool, a walled garden, as well as five-miles of biking and hiking trails around Lake Overstreet. Kids will love Tom Brown Park, the largest park in Tallahassee, where there is truly something for everyone as the park amenities include a BMX course, tennis courts, playgrounds, racquetball courts, a disc golf course, a dog park, nature trails, basketball courts, and even sand volleyball courts! Surely, you will find an outdoor space to love and enjoy as you Trekaroo through this beautiful city! For casual fun, family-friendly dining, visit Momo’s Pizza and Brewpub. Each delicious hand-tossed slice of pizza promises to “be as big as your head.” Go for the House Specialties, like the Tex-Mex insprired “Quesa-Momo,” and wash it down with one of Momo’s incredible craft beers brewed on site. 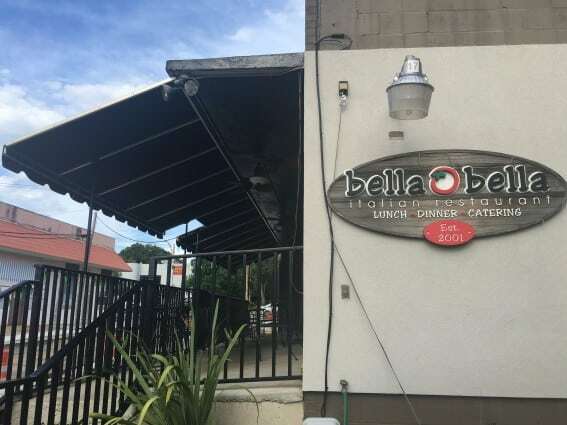 Bella Bella will have Italian food that every one will love! (Tip: The Bubble Bread is fabulous!) Eat at The Edison if you are walking around Cascades Park. The views of the park are beautiful and the eclectic mix of newly crafted international dishes by outstanding chef. (Tip: The Lobster Roll and Strawberry Shortcake will make anyone’s day.) Pop over to Pepper’s for queso dip, guacamole, and quesadillas that the whole family will love! There’s also Dog Et Al, a local Tallahassee institution with 10,230 different ways to fix a hot dog. Head to Donut Kingdom for fresh homemade doughnuts and coffee or Cabo’s Island Grill and Bar for grilled cheese on Texas Toast and some of the best burgers and fries in town. A few miles from the Capitol is the brand new Home2Home Suites by Hilton. The hotel offers contemporary, comfy accommodations for families visiting the Capital City. Each room offers all the comforts of home: a double bed, a sleeper sofa, a full size fridge, microwave, sink, as well as a cupboard full of plates, mugs, and glassware. It’s perfect for extended stays or for the college student transitioning into student housing. A huge free breakfast is served every morning with waffles, cereal, coffee, and a yogurt bar! Right across the street is a Starbucks and other dining options that are affordable and convenient. We loved Blaze, which is a quick and delicious build your own pizza place! 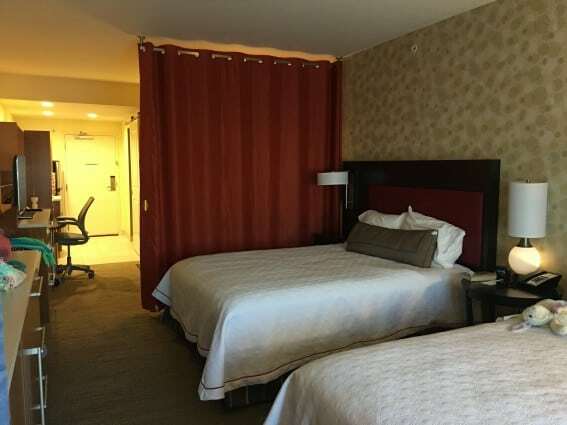 The Four Points by Sheraton is also another family friendly option close to downtown! 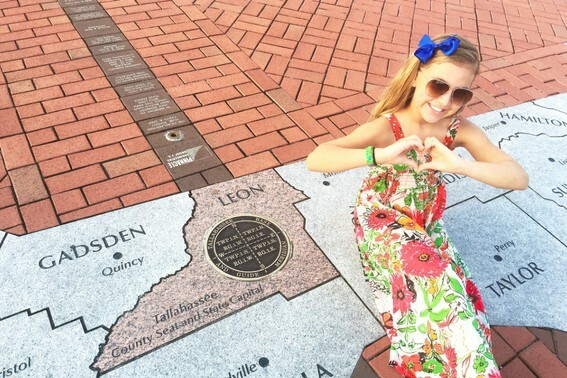 Many fun adventures await a short car ride away from Tallahassee. 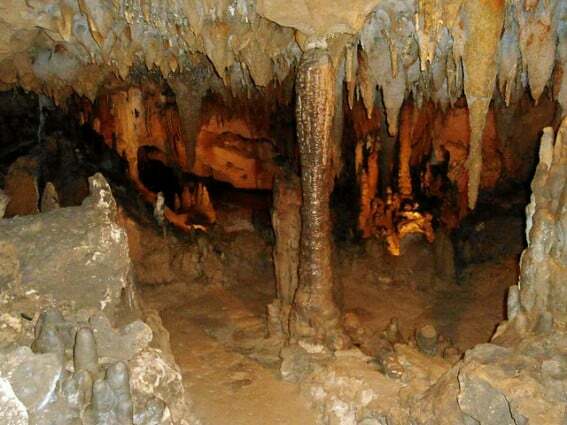 I recommend the Florida Caverns in Mariana for those looking for adventure. Another option is to head 25 miles south to climb to the top of a national historic landmark, The Lighthouse at St. Marks’s River. Camp at St. George Island or just spend the day. Rent chairs, umbrellas, wave-runners, boats, boogie boards, skim boards, and surf boards for the day and by the hour. Drive about an hour east to the small town of Madison, Florida and dive into the cool natural springs at Blue Springs State Park. This clear, bright blue lagoon might just be the most magical (natural) place in Florida you’ve ever seen. 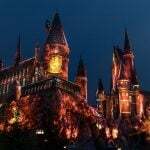 Looking for more to do with the family while in Florida? 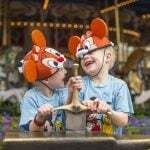 Check out our Top 10 Things for Families To Do in Florida for all the must-sees for your next family vacation. This post was co-written by Marisa Langford and Denise Taylor. We were hosted by Visit Tallahassee for the purpose of this post. All opinions are our own.